Next-level moving solutions and unmatched customer service for local, long-distance, and commercial moves. So You Won't Be Billed For Time We Don't Need! 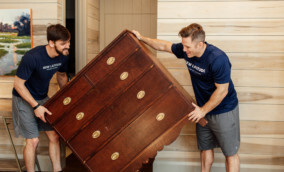 We are committed to being the best moving company Birmingham, Alabama has seen. We will never stop improving until we get there. Whether it is upgrading our technology for better service, increasing our warehouse space, or continuing to recruit and keep the most talented movers in the state - we are excited about what the future holds! We partner with passionate and like-minded individuals, businesses, organizations and causes that have aggressive hopes and goals for tomorrow and beyond. We are committed to working with folks who share our vision for realizing their full potential. 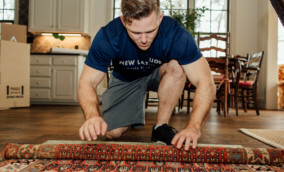 We have the moving experience, technology, and equipment in order to ensure an exceptional moving experience. We know that great service transcends providing what’s expected, so we go the extra mile. Every mile. It’s about taking the time and initiative to go beyond the transaction and enter into a relationship with our customers. 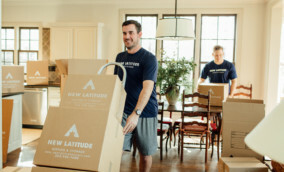 Whether you are moving from Montgomery to Mountain Brook or Hoover to Homewood, we can help!